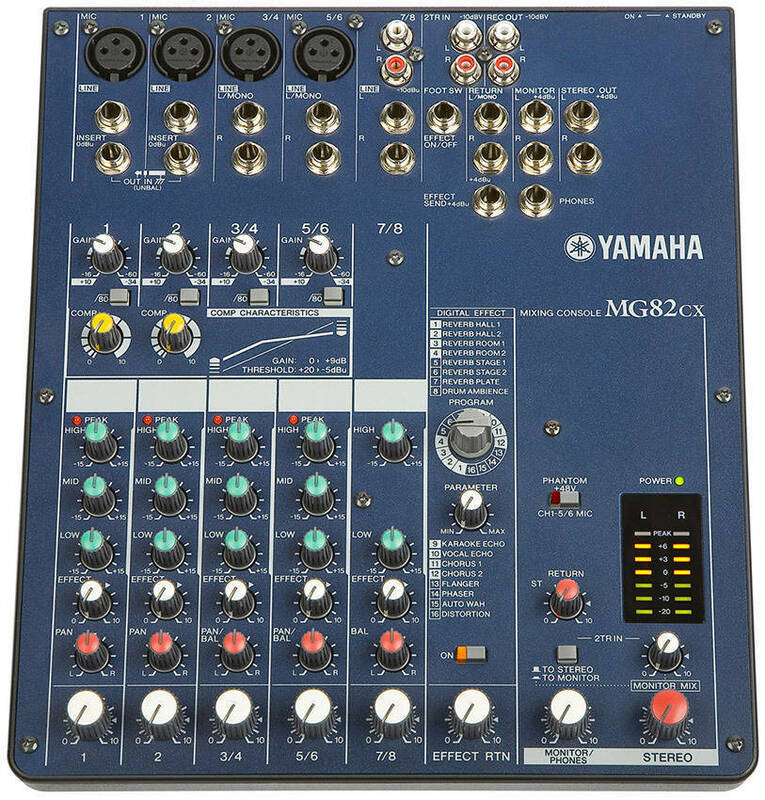 The Yamaha MG82cx mixer offers sonic quality that will satisfy the most critical listener, surprising flexibility and ease-of-use, and some advanced features you normally wouldn’t find in this type of compact mixer. The MG82cx weighs only 3-1/2 lb. and is small enough to pop into your briefcase or shoulder bag and easily take with you anywhere. 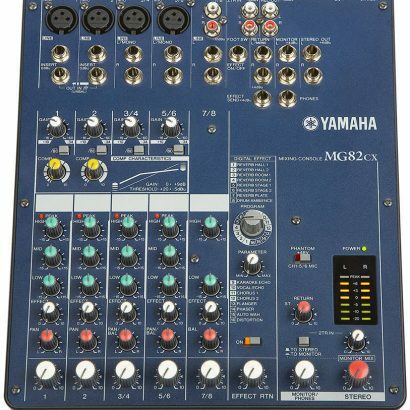 But the performance you’ll get at the studio, club, outdoors, or anywhere you choose to use these fine mixers is far from lightweight. Includes Laptop/Audio cables and 1-2 Microphones.